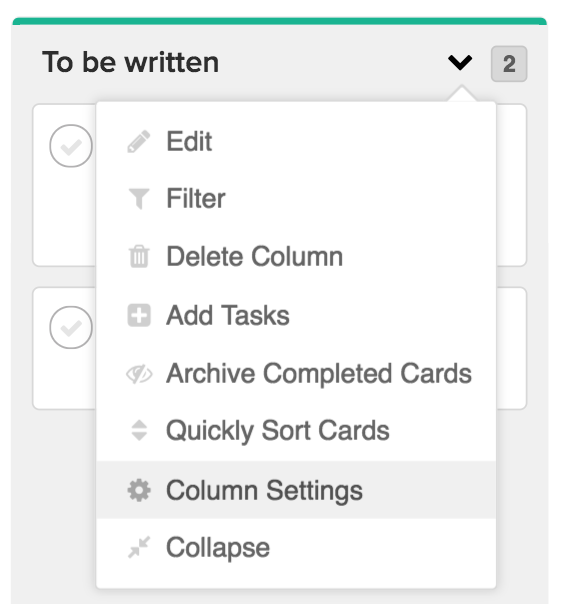 Within Teamwork Projects, you can add triggers to columns in your project's board view to automatically notify task assignees when a card is moved to the column. To add the trigger, hover over the column name to reveal the options dropdown, and click to show the menu options. Select Column Settings. In the column settings quick view, select Add Trigger to open the trigger modal. 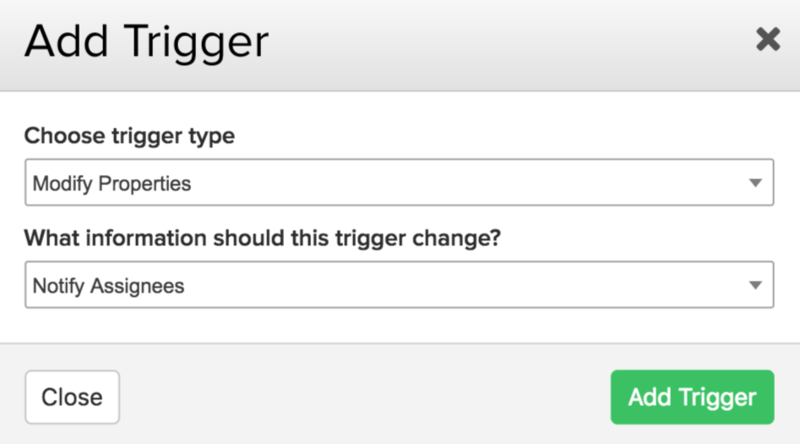 Choose Modify Properties from the trigger type dropdown in the add trigger modal. Once selected, you can then choose Notify Assignees from the second dropdown. When the Notify Assignees trigger is added to a column, each time a card is then moved to that column, an email will be sent to the user(s) assigned to the task notifying them that the task has been edited.